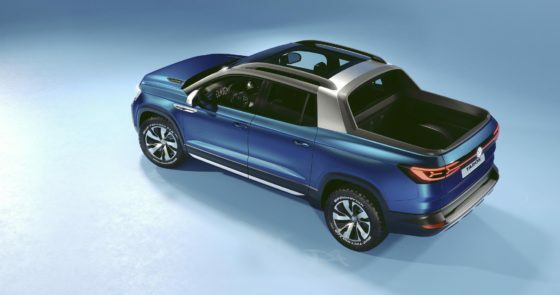 Volkswagen delivers a big, bold statement to the pickup segment with the Tarok Concept, which made its world premiere at the 2018 Sao Paulo International Motor Show. 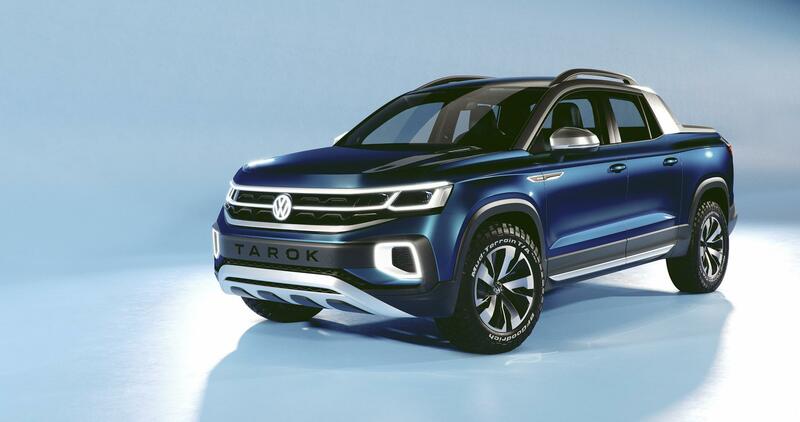 The Tarok Concept is a five-meter pickup truck with an all-wheel drive platform using the latest in connected vehicle technology and will come with a large variable loading area, which can be extended by folding the rear panel in the four-door double cab. “With its striking Targa-inspired roof bar, charismatic front end, three-dimensional LED lighting strip in the rear, and powerful yet stylish side panels, the Tarok Concept’s expressive design makes it the first pick-up to combine the stylistic elements of an urban SUV with an authentic off-road design. The Tarok’s DNA adds an exhilarating dynamic to the segment,” said Klaus Bischoff, head designer at Volkswagen. Volkswagen calls the look a ‘lifestyle-oriented’ design, which allows for hauling extra-long items and can handle a maximum load of one ton. With the interior’s digital design and eye-catching elements, the Tarok indicates a fresh look of a pick-up truck. It has a color-keyed crossbar in Cypress Metallic that stretches across the entire dashboard including the glass-covered infotainment system, digital air conditioning controls, and digital cockpit. Powering the Tarok is a 1.4-liter, 148 hp four-cylinder TSI engine, mated to a 6-speed automatic gearbox with permanent 4MOTION all-wheel drive. It can be driven as a TotalFlex Fuel Unit with either pure ethanol (E100) or a gasoline-ethanol blend (E22). According to the German automaker, when the production version finally launches, it will start out with a 2.0-liter turbo diesel direct injection (TDI) TSI engine that delivers an output of 148 hp.